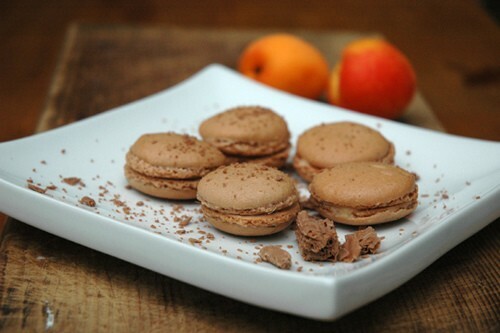 Here are the chocolate macarons I made for our photo shoot marathon on Sunday. The macarons themselves don't look as good as the blackcurrent ones I made last time but they tasted better: I reduced the amount of sugar, they tasted of almonds and chocolate. As expected, the outside was crispy while the center was soft. 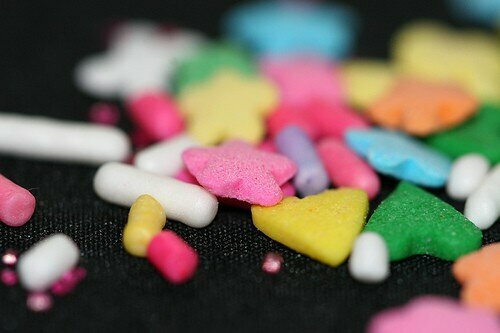 The filling is a white chocolate ganache, orange flavoured. A very Christmassy dessert. This photo is so nice, thank you James.